Arum: Terence Crawford vs. Errol Spence is a Big PPV Fight! Top Rank's CEO Bob Arum is already mapping out the welterweight future of former undisputed junior welterweight champion Terence Crawford (32-0, 23 KOs). Back in August, Crawford knocked out Julius Indongo in three rounds to unify the WBA, WBC, IBF, WBO junior welterweight titles. Since then, Crawford has vacated the WBO and IBF titles - and officially announced his intention to invade the welterweight division. He will be vacating the WBC and WBA title shortly. The first order of business for Crawford will be WBO welterweight champion Jeff Horn (17-0-1, 11 KOs), who defends his title next month against Gary Corcoran of the UK. The World Boxing Organization recently named Crawford as the mandatory challenger to Horn. Top Rank has several fight options on Horn and wants to bring him to the United States to face Crawford in the first quarter of 2018. If Crawford defeats Horn, then Arum has a lot of options for the undefeated fighter. Since the back to back defeats of Roman Gonzalez, many experts are viewing Crawford as the new pound-for-pound king. 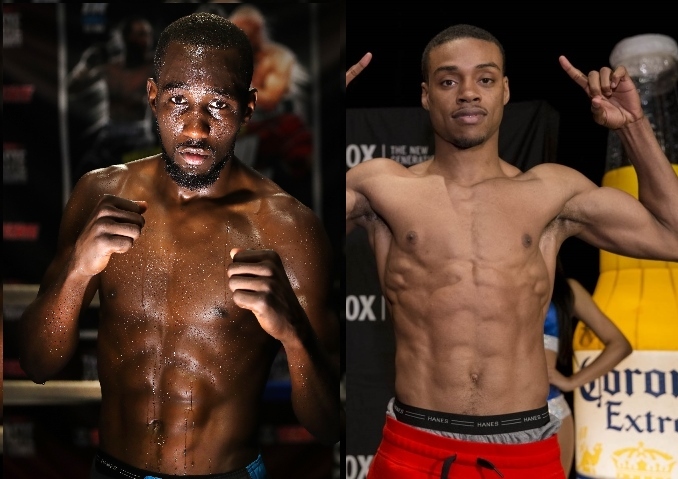 Beyond Horn, Arum plans to hook up with adviser Al Haymon to match up his stable of fighters against Crawford - including names like former champion Danny Garcia, WBC/WBA champion Keith Thurman, and what Arum views as the biggest name of the bunch - IBF champion Errol Spence. Spence is viewed as the biggest threat in the entire division, with a recent destruction of Kell Brook to win the title back in May. Spence will return to the ring in January to fight Lamont Peterson. "I think Crawford is an enormous talent. I know that if he wins the welterweight title I am going to look to match him with him a number of fighters that are managed by Al Haymon, like Danny Garcia, Keith Thurman and a huge fight would be one with Spence. That would be a big pay-per-view fight," Arum told ESPN Deportes. What a joke. Crawford did 47K buys in his first PPV attempt. I don't want to hear him mentioned in the same sentence with PPV ever again.